You check the clock for the hundredth time. It’s nearly 5 o’ clock and you’re looking forward to leaving another busy day at work behind. The approaching evening holds promise for a bit of relaxation and unwinding from the day’s stress. But for many elderly people who suffer from Alzheimer’s disease or other forms of dementia, the onset of evening hours can be a time of increased memory loss, confusion, agitation and even anger. For family members or caregivers, witnessing an increase in their loved one’s symptoms of disorientation at sunset can be nothing short of troubling, if not also painful, frightening and exhausting. 1.) Stick to a schedule. Dementia can make it hard to develop and remember new routines. Your loved one might react to unfamiliar things with feelings of stress, confusion, and anger. 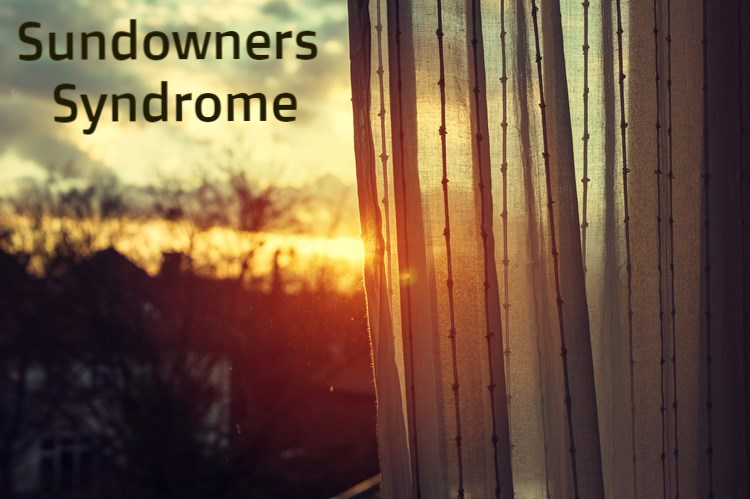 These feelings can play a large role in sundowning. Stick to the same schedule every day to help your loved one feel more calm and collected. If you need to make changes, try to adjust their routine gradually and as little as possible. 2.) Keep your loved one active as much as possible. Many seniors who experience sundowners have trouble sleeping at night. In turn, fatigue is a common trigger of sundowning. This can create a vicious cycle. Too much daytime dozing and inactivity can make it harder for your loved one to fall asleep at bedtime. To promote a good night’s sleep, help them stay active during the day. For example, go for a walk in the park or do some light yard work. This might help improve their sleep quality and reduce their sundowning symptoms. It can also help them enjoy better physical health. 3.) Adjust eating patterns. Large meals in the latter part of the day can increase agitation, indigestion and may keep your loved one up at night, especially if they consume caffeine or alcohol. Encourage your loved one to avoid those substances or enjoy them at lunch rather than dinner. Limiting evening food intake to a snack might help them feel more comfortable and rest easier at night. 4.) Minimize stress. To help your loved one stay calm in the evening hours, encourage them to stick to simple activities that aren’t too challenging or frightening as frustration and stress can add to their confusion and irritability. Watching television or reading a book might be too difficult for them. Instead, consider playing soft music or encourage them to snuggle with a cherished pet or security blanket. 5.) Keep it light…literally. Keeping rooms well-lit helps enhance mood and distracts from the fact that it’s dark outside. 6.) Medication may help. Sometimes, if nothing else is working, medication might offer a solution. There are specific medications on the market for those with sundowners, so talk to your loved one’s doctor about what may be right for him or her. Although everyone is different and there is no magic formula for “curing” sundowners, it is important to remember that your loved one is not purposely becoming agitated, angry or afraid as the afternoon leads to evening. Remaining calm will help you and them get through these stressful moments.